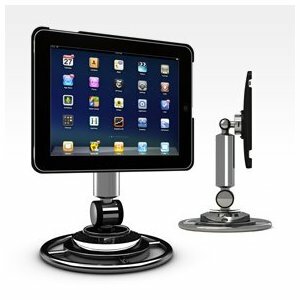 Your new safe and secure iPad Stand has the ability to tilt, swivel, rotates in almost all other directions while keeping your iPad safe. It is equipped with non-slip rubber bottom stops and a cushioned lined case. There is even LED light capability and a built in USB Charger. Easy movie going experience along with a lot more hands on ability for your luxury.